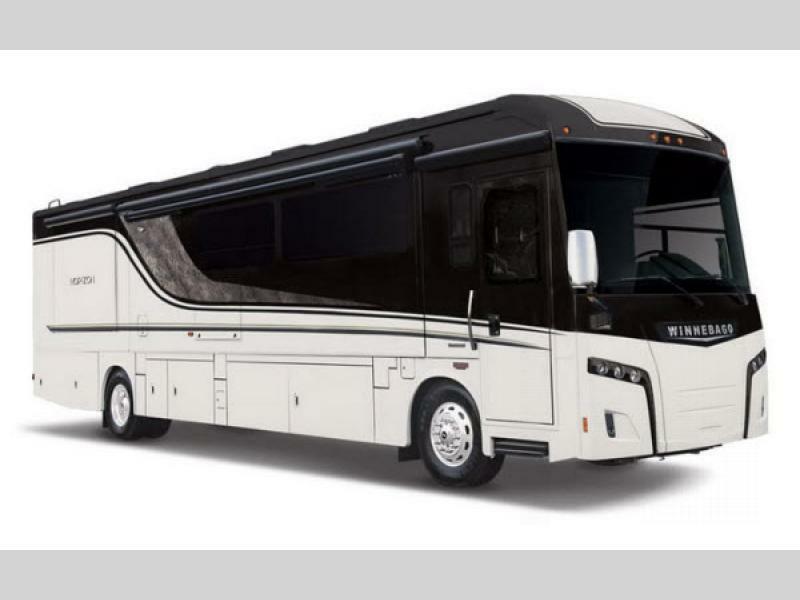 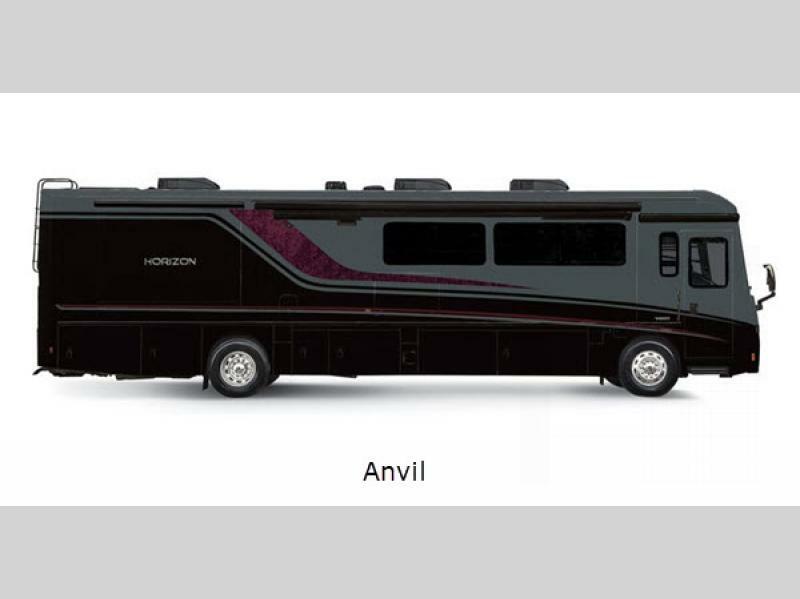 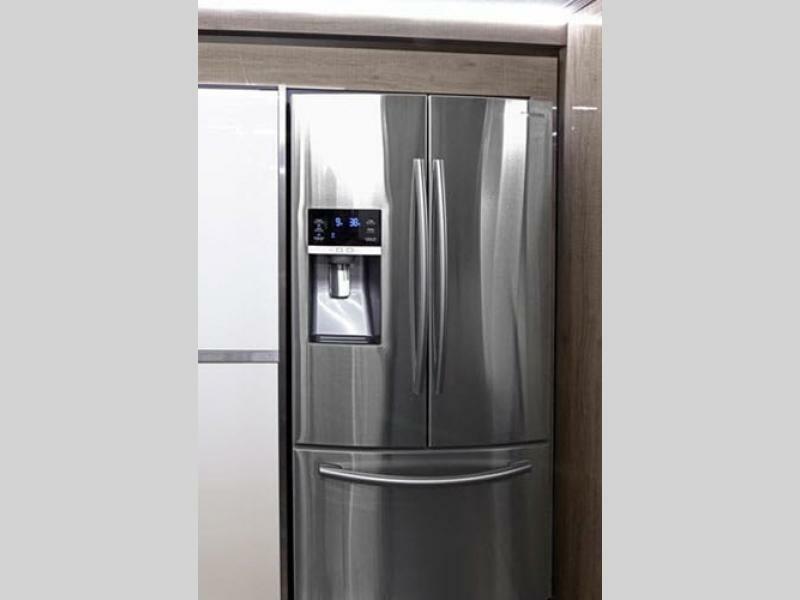 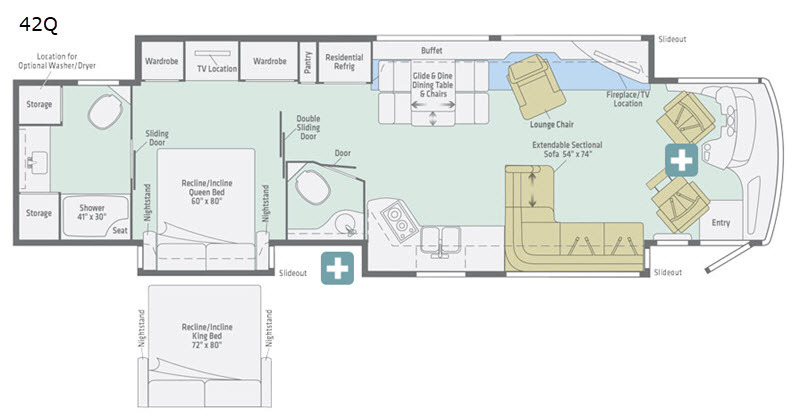 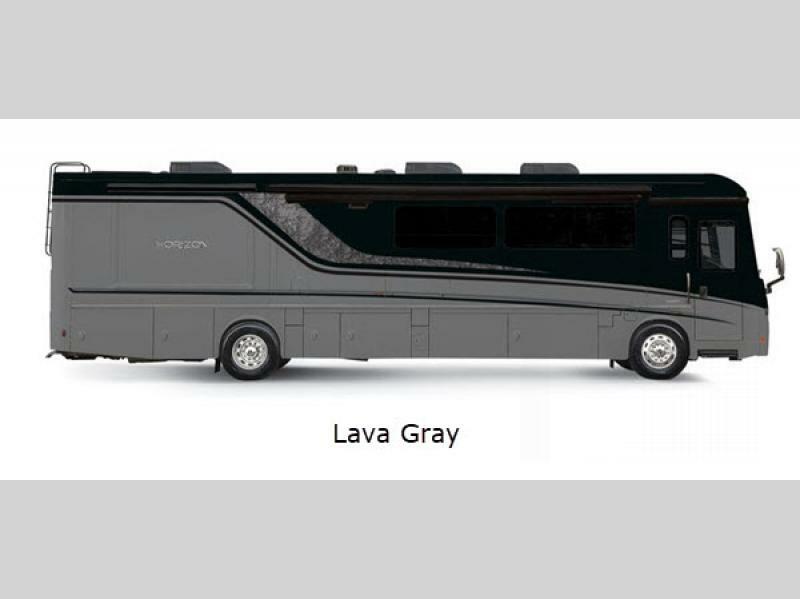 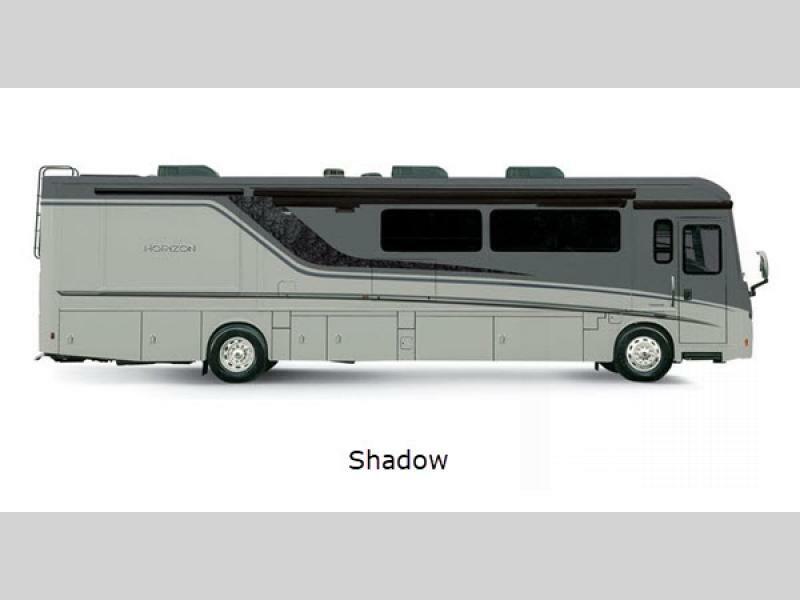 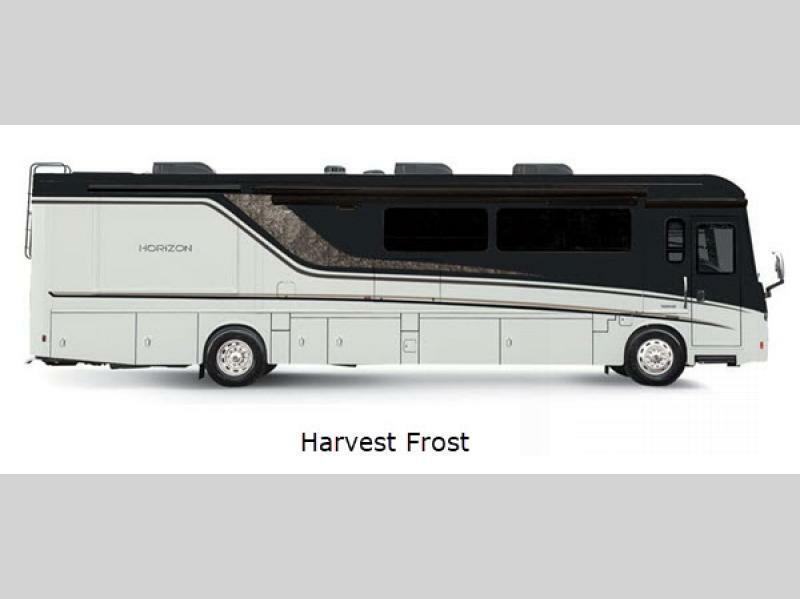 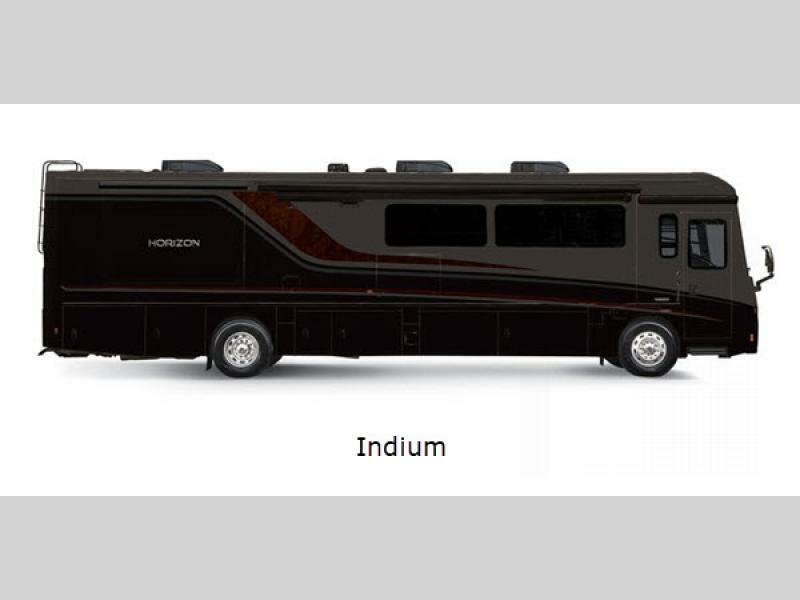 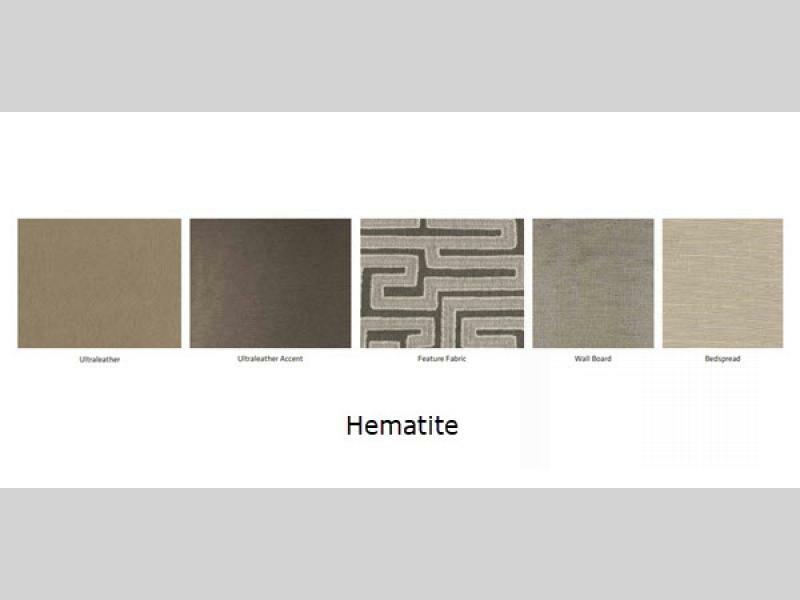 Confident and bold is how to describe the new Horizon Class A diesel motor home by Winnebago. 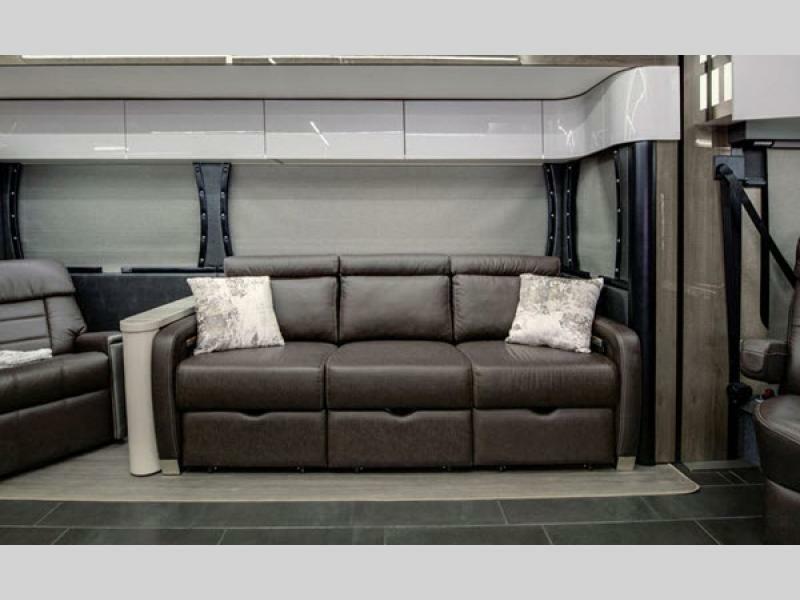 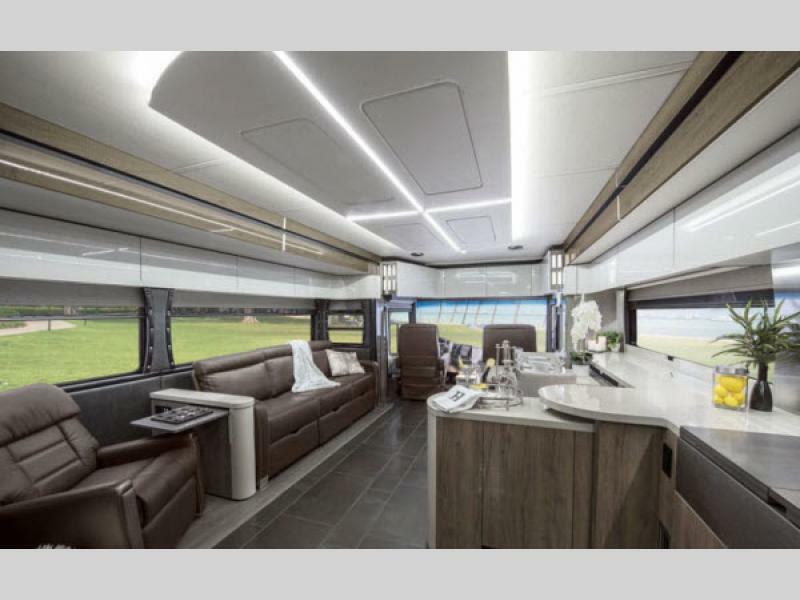 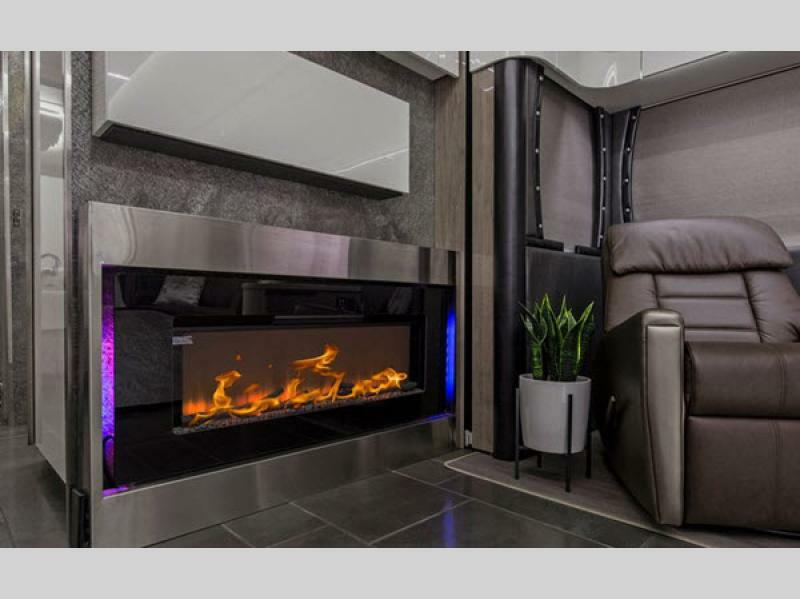 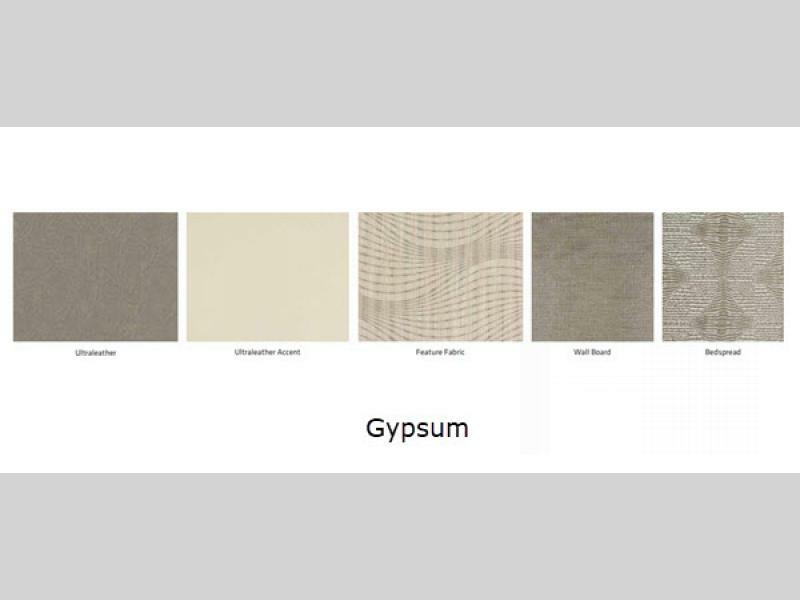 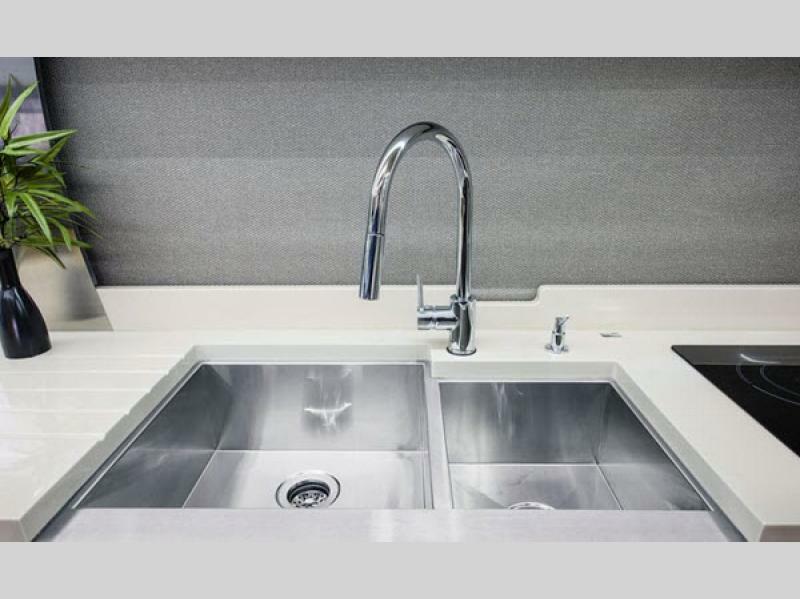 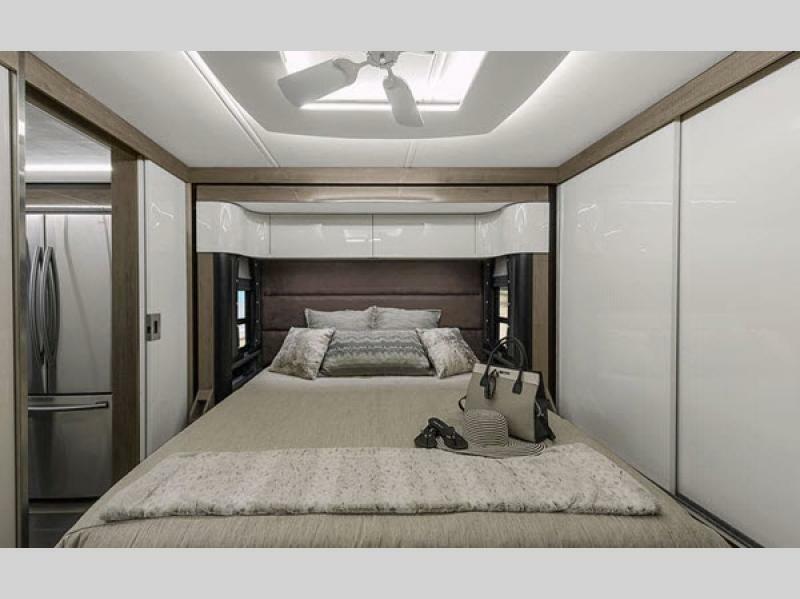 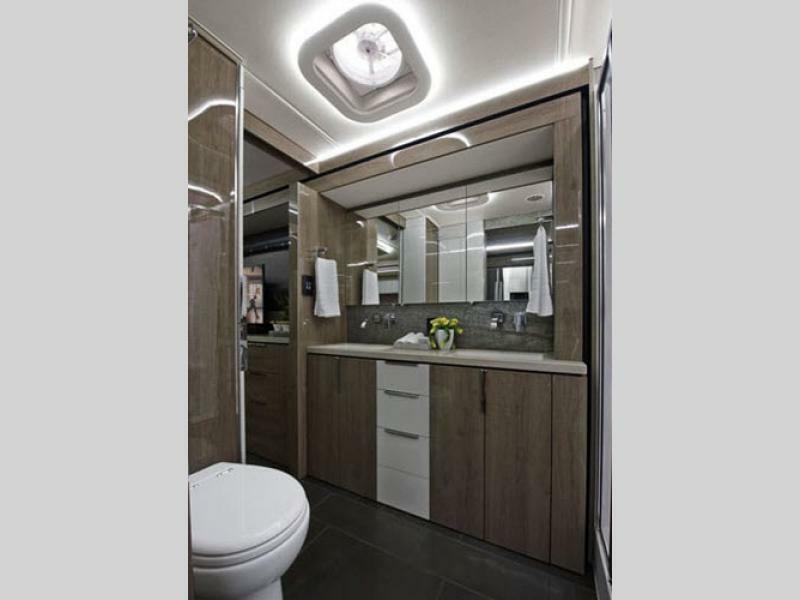 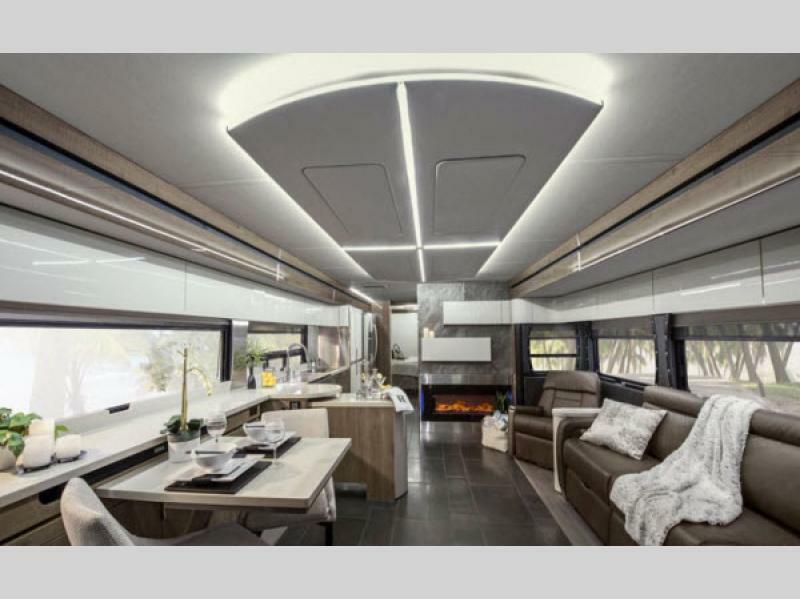 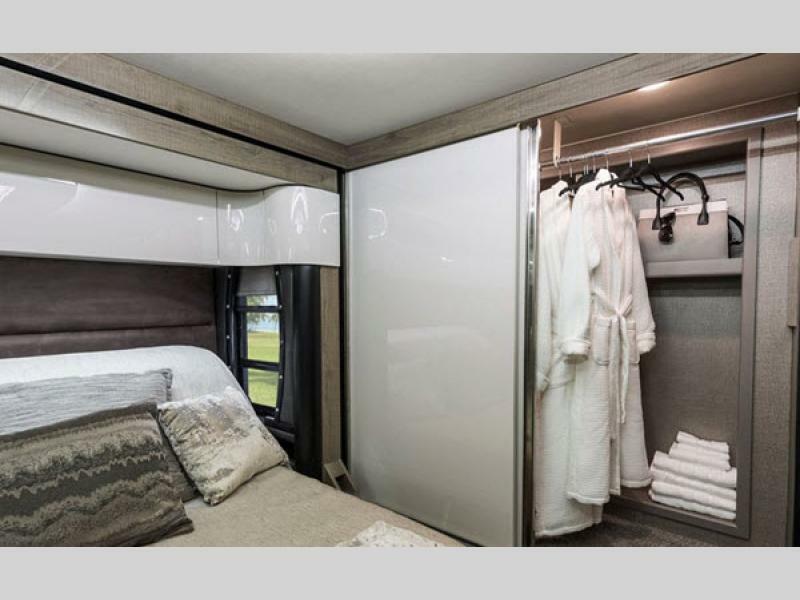 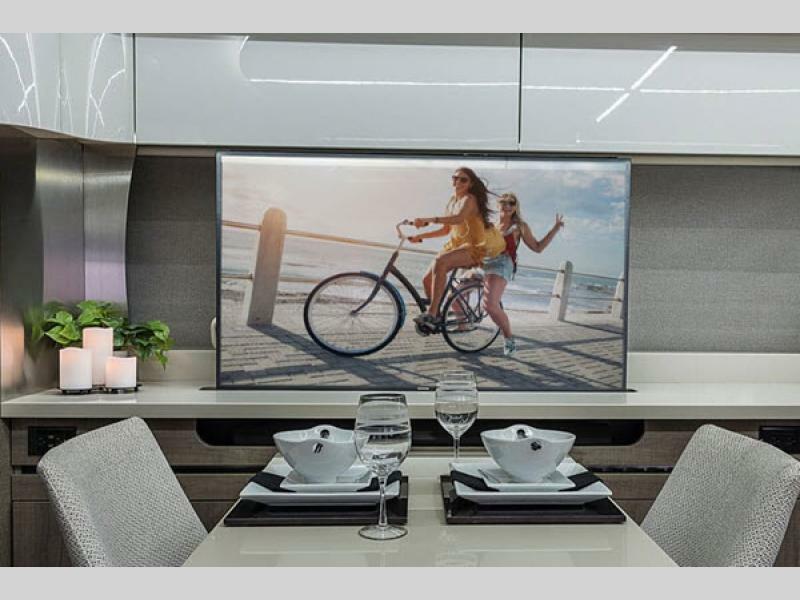 These luxury motor homes are sure to draw your attention with their LED tube lighting and Villa furnishings. 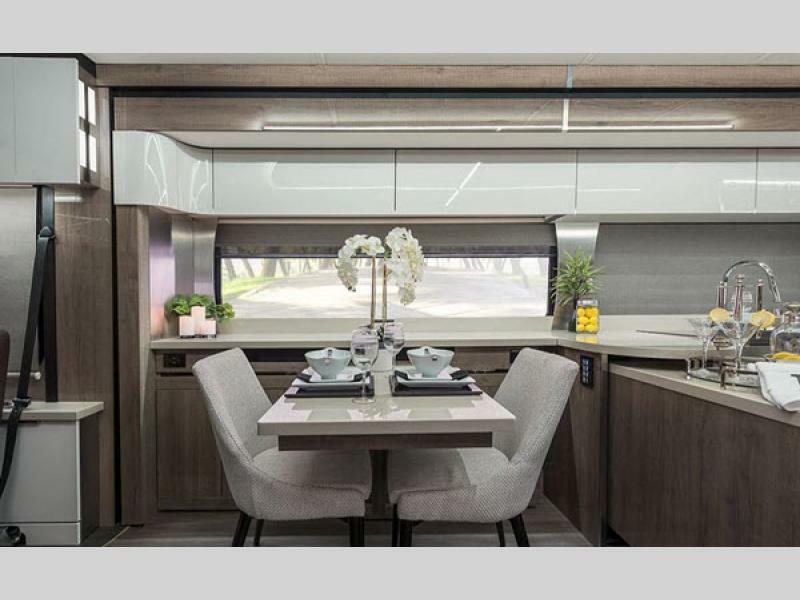 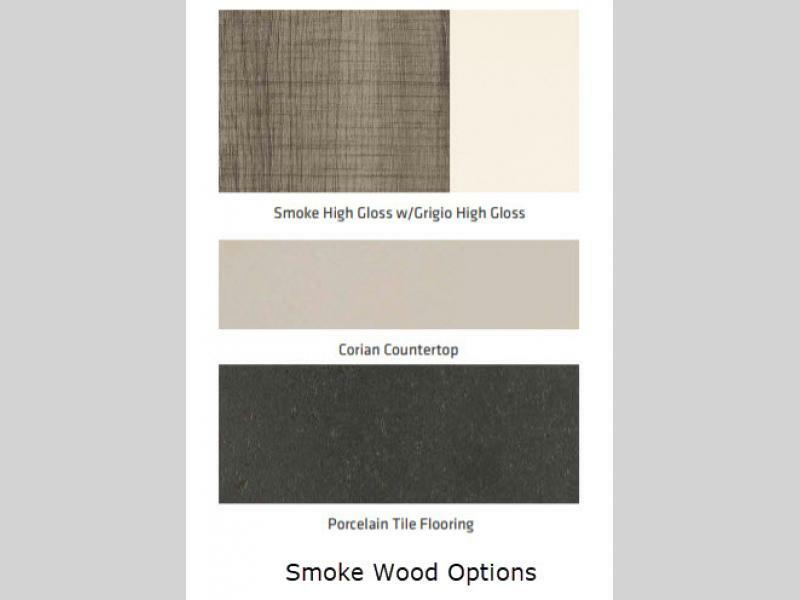 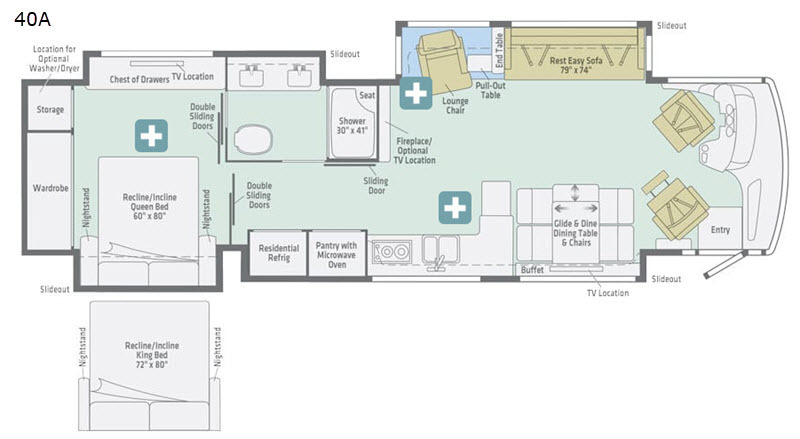 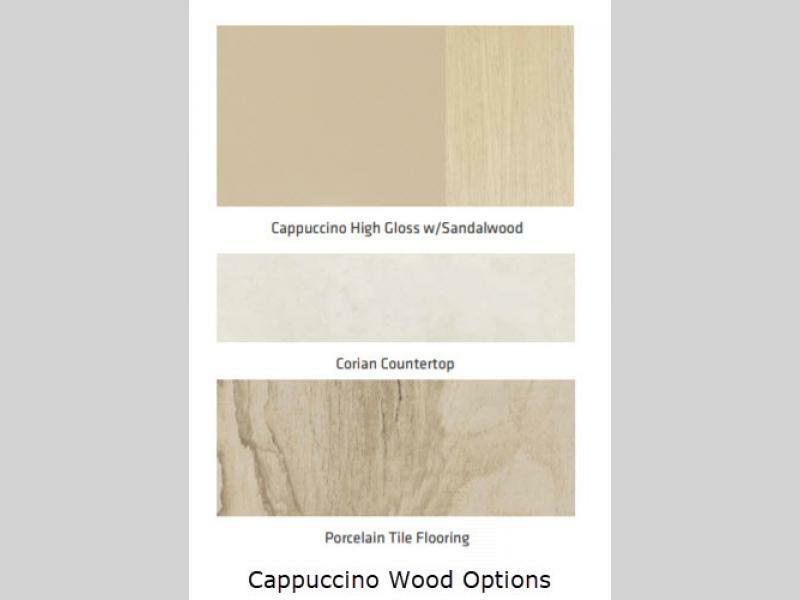 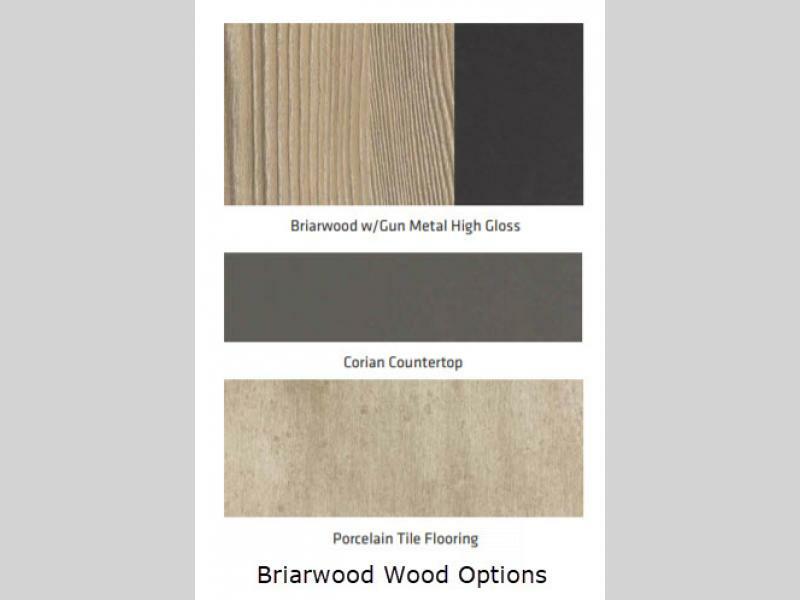 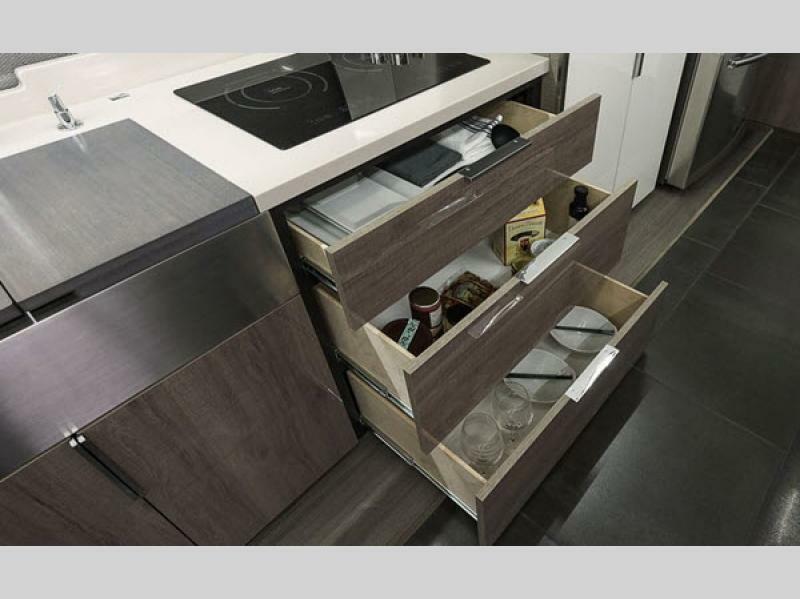 You'll enjoy many features throughout, including the versatile Glide & Dine dining table, and a spacious master bedroom. 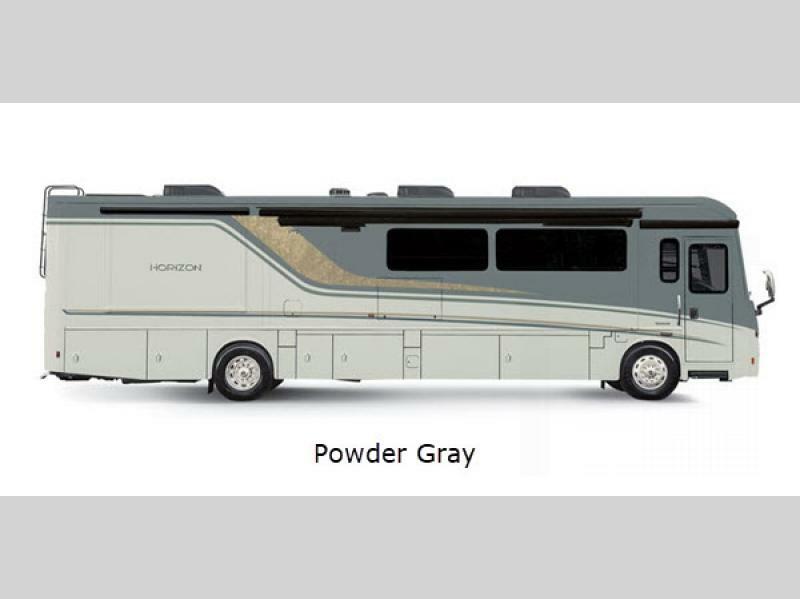 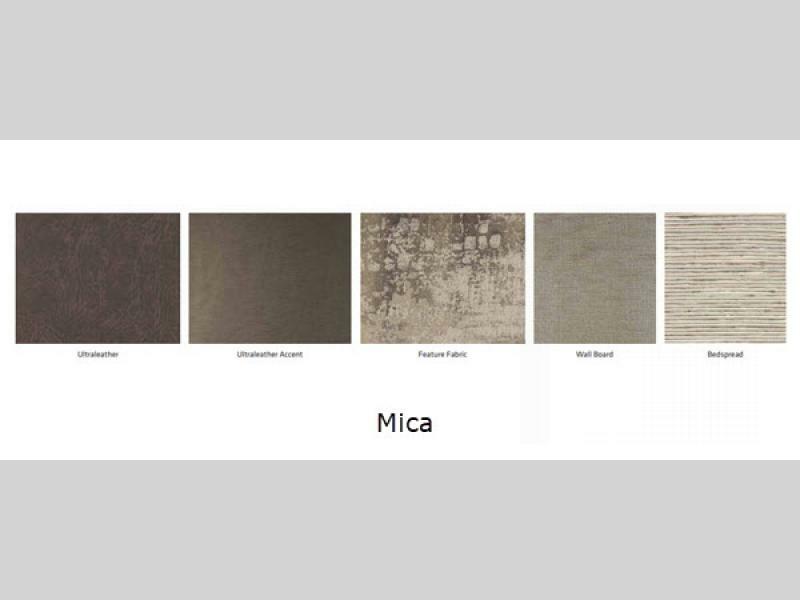 For the maximum power, each model is built on a turbo-diesel powered Maxum chassis which provides a comfortable ride, as well as ease of handling. 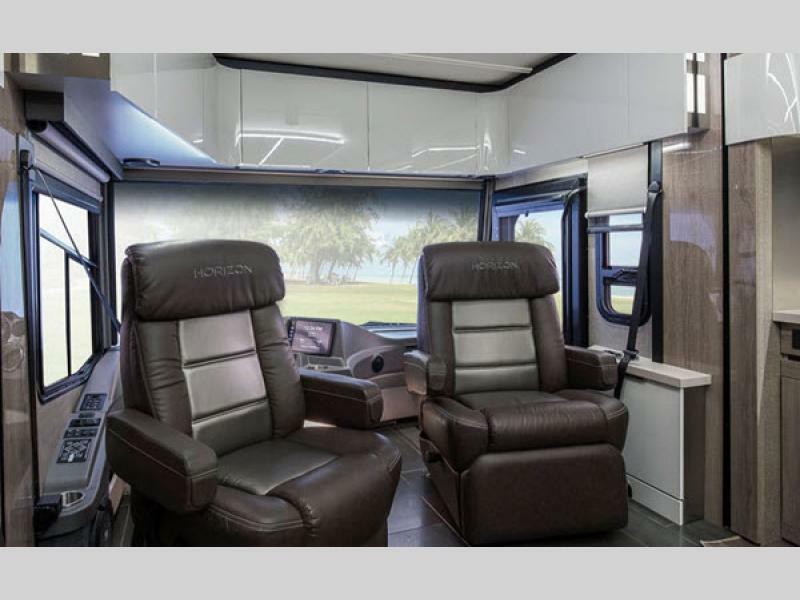 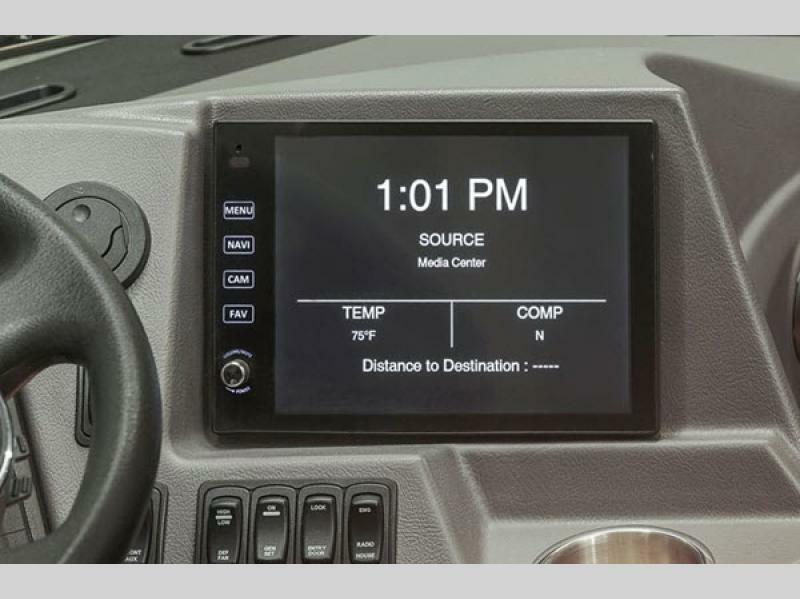 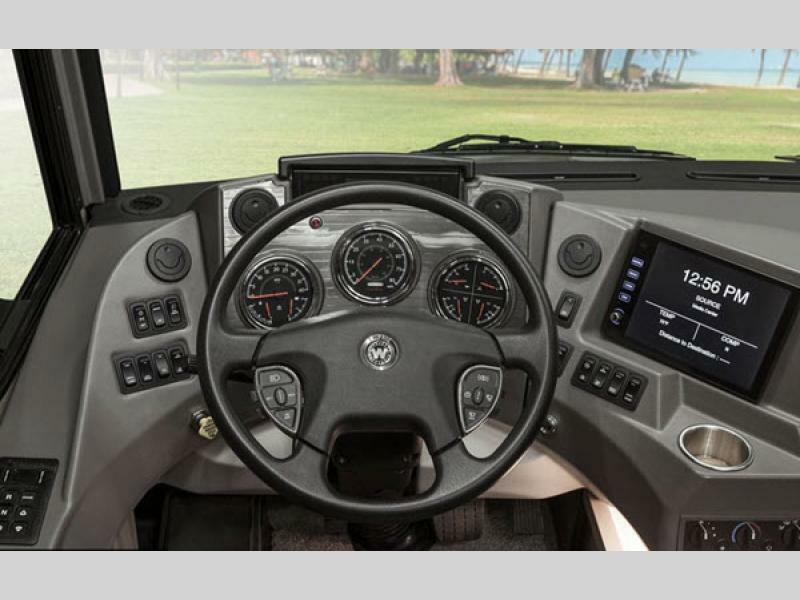 The cab area has also been fully stocked with adjustable gas/brake peddles, cruise control, and an infotainment center to ensure that you enjoy a safe and comfortable trip across the country. 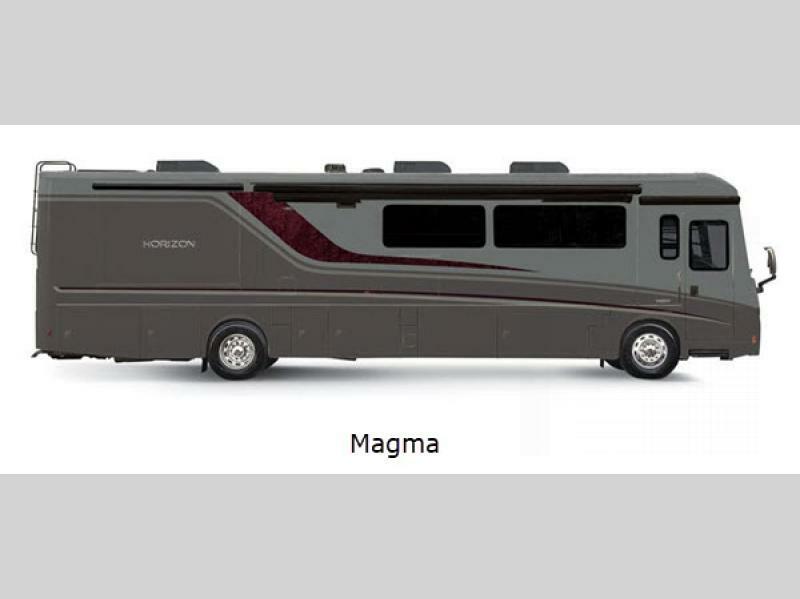 When you are ready to travel to new horizons, there is no better way to do so than in your very own Horizon Class A diesel motor home by Winnebago!